Fox Sports’ web series @TheBuzzer, blending highlight clips with hijinks like the Cinco de Mayo taco-eating contest, seemed like an ideal format for Facebook Live. It offered a social twist by soliciting instant feedback from viewers. But things got weird, with the Facebook users asking hosts to do increasingly bizarre things like stuff marshmallows in their mouths. Meanwhile the number of viewers stalled. “The numbers got to the point where we chose not to do it every day. We’re scaling back—not so dramatically that Facebook would be concerned—but we’re retrenching,” said Pete Vlastelica, Fox Sports’ executive vice president of digital. 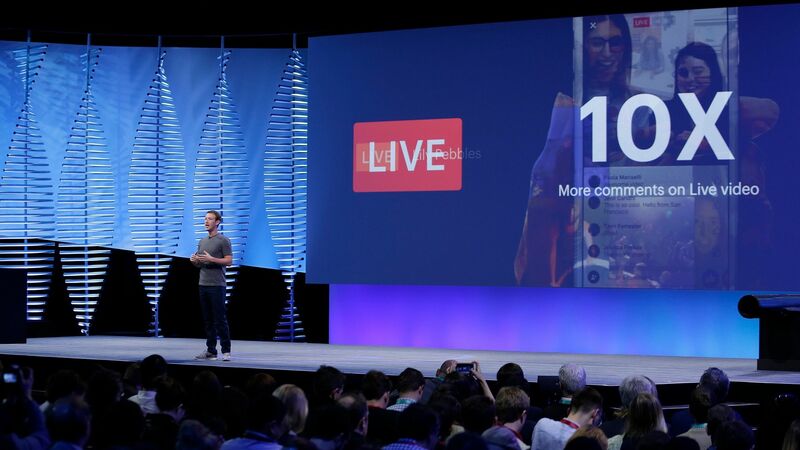 Facebook CEO Mark Zuckerberg talking about Facebook's plans for live video at its F8 developer conference in April. Photo by AP.